Jack Sparrow is in London and he is captured and meets George II to do a deal with Captain Barbossa (Geoffrey Rush) who wants to reach the “Fountain of Youth”. The Spaniards are already searching for it. Sparrow wants a ship but is abducted by Blackbeard’s daughter, Penelope Cruz. They need the two cups of a sixteenth century explorer (Ponce de Leon) and the tears of a mermaid. They capture a mermaid and eventually get to the fountain. The Spanish want to destroy it because its promise of eternal youth is contrary to their religion. This summation makes the film seem more coherent than it really is. It is actually the usual Johnny Depp stand up comedy routine surrounded by sidekicks. We keep being told that Depp copies Keith Richard’s voice (he makes a brief appearance) but it seems as if Depp has been studying a lot of camp British comedy. 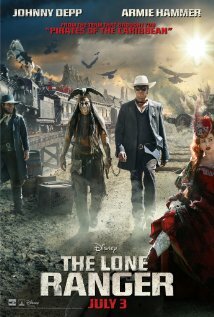 Depp is quite funny and it’s quite something to make such a toe rag of British camp into a global franchise which has outdone Harry Potter. As long as it keeps on raking in dosh, why stop it? As entertainment it fills the void left by Indiana Jones. It’s a board game fantasy in panto drag. Depp and Rush do a creditable Robert Newton, who used to ham his way through Long John Silver. It’s quite an achievement when you consider that Geena Davis’ pirate film of the ’90s bombed at the box office. The pirate films of the ’40s and ’50s were unrealistic adventures, Pirates is a once inspired fantasy, which now just about justifies itself. I would like to see a film about the reality of pirate life, but it wouldn’t be a money maker would it? Still, it would have been a great improvement to see a breakaway from the formulaic familiarities. The love interest is between a preacher and a mermaid, both bland and forgettable. Keira Knightley and Orlando Bloom have fallen off the treasure map. There’s the usual list of Brit actors having a ride while they pick up a pay cheque. Each scene is self contained which makes the film disjointed, so it’s like looking at discarded scenes from the latest Orange mobile phone adverts. The self parodies get tangled up in each other as well. Depp minces his picaresque way through his slapstick routines and it would be nice to see him attempt some of the stunts that Burt Lancaster could do in The Crimson Pirate. Depp looks like he’s stolen his clothes off a panto washing line and he does well with his stage props. With all the money it’s made, Pirates could have been more inventive with surrealism instead of giving us unprepossessing mermaids. This made it look like a stop gap for Harry Potter and Narnia. For all Depp’s comic prowess, which makes the other actors look like sidekicks, I feel that Pirates cannot continue this way. A fifth film would have to be a real change in the routine but I fear that as long as the money comes in it will outstay its welcome. After the credits, the final scene of Pirates IV would appear to confirm one’s worst fears..